Scott is committed to building a team that delivers “The Ultimate Client Experience” on each and every project. 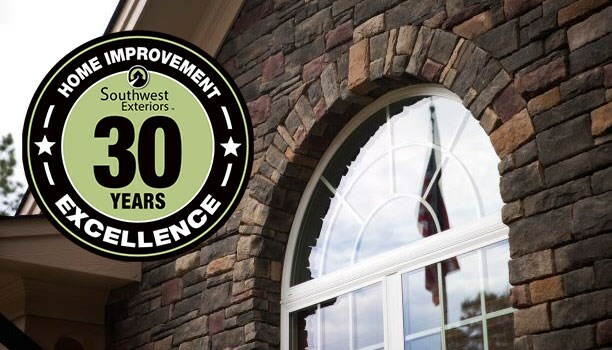 His first job in the home improvement industry was when he was 13 years old, and he has been with Southwest Exteriors since 1990. While exceeding our clients’ expectations, Scott is also continuously working on developing a team of leaders who are challenged and excited about their work. When asked what he enjoys the most about his position as head of Southwest Exteriors, he said, “Hearing from clients that have become raving fans of our company because of our commitment to client satisfaction before, during, and after their projects.” In Scott’s free time, he enjoys spending time with his wife, Sherolene, and their sons, Sammy and Sawyer. His desire is for the business to be a ministry that glorifies God, and he wants to continue to support other ministries by building a successful enterprise. Steve joined the team at SWE in May of 2014. He has been around windows and doors on and off since his first high school job over 25 years ago. He has also started and led several non-profits and churches along the way. Seeing the smile on their face as he helps clients envision the home of their dreams is what Steve currently enjoys most about being a Design Consultant. When he’s not serving clients, he enjoys hanging out with his wonderful wife of over 20 years, Joanne, and their two daughters, Sierra and Jaclyn. Pedaling a bicycle, whether out on the trail or the road, is something else you can find him doing frequently as he tries to stay in shape! Ann Rathbun joined the teams of Southwest Exteriors and Sterling Home Technologies in June of 2013 as the shared Human Resources Leader, coming to us with 25 years of HR experience at Bank of America. When it comes to the ins and outs of Human Resources, Ann knows it front and back! She and her husband Don are members of First Presbyterian Church, and they have a daughter who just graduated from Texas A&M University, which makes them very proud. Ann’s favorite hobbies include gardening, cooking, yoga and walking, and just enjoying time with family and friends. Ana became part of the Southwest Exteriors family in October 2007 and quickly worked her way up to Office Administrator and now Production Administrator. She brings more than 13 years of experience in client service and executive support to the company. She prides herself in providing our clients with a positive experience that separates Southwest Exteriors from other remodeling companies. She has three handsome and energetic boys: Charlie, Anthony, and Alex. She enjoys listening to them play the violin, bass guitar, acoustic guitar, drums, and piano. Above all, Ana enjoys cheering and supporting all three boys in their athletic activities. She and her sons attend First Assembly of God Church. Angela has been with Southwest Exteriors as Account Specialist since August 2014. Prior to joining our team, Angela worked for Pella Windows & Doors for over 10 years and Tetco, Inc. for 5 years. She has vast knowledge in accounting and we are so lucky to have her skills on our team! She has two wonderful children, Matheu and Avigail. In her free time she loves attending her kid’s sports games, camping, working out, and going to the movies with her family. Ryan joined the Southwest Exteriors team in December 2015 and brings years of experience in marketing for other home improvement companies. Originally from Kansas City, MO, Ryan moved to attend University of Nebraska – Lincoln. He and his wife Angela have a 10 year old daughter, Sami Jo. Ryan enjoys working out, cooking, and reading. Jim started with Southwest Exteriors as the Windows and Door Manager in January 2006, bringing over 27 years of experience in both siding and windows. He works closely with clients, informing them on all aspects of their window and door installation. His duties include measuring, scheduling, and managing all installation crews with great pride and diligence. He credits his drive and determination to doing the best job possible to his parents, Command Sergeant Major (Ret) John & Jeanne Sublousky. He also knows behind every good man is a great woman; in his case there are two: his lovely daughters Savannah, born 1992, and Sadie, born 1994. Josh became a member of the Southwest Exteriors team in May of 2012, coming to us with a 12-year background in windows, doors, and construction. His diligent work ethic, extensive background experience, and skilled craftsmanship make him an excellent Project Manager for our door and window projects. He attends Rockhills Church and has a heart for serving others. Josh is also an extremely talented artist and has several gallery shows a year (you can see some of his work at https://www.facebook.com /joshuaclappart /photos_stream). In his free time when he’s not drawing, he’s probably enjoying the great outdoors with camping, sports, photography, and various other activities. Michele first came on board with Southwest Exteriors in April of 2014, coming to us with over 10 years of experience in Administrative Support. She served as our wonderful Director of First Impressions at the front desk before moving to provide administrative support for the sales and marketing departments. Michele loves the opportunity to connect with clients and colleagues on a daily basis, and she also enjoys working with all of the other wonderful Southwest Exteriors team members. She and her husband, Brian, have 5 children together.